Measure epsom salt into a bowl, add 20-30 drops essential oil and stir to combine. Let it air dry for a bit and then transfer to a mason jar for storage. 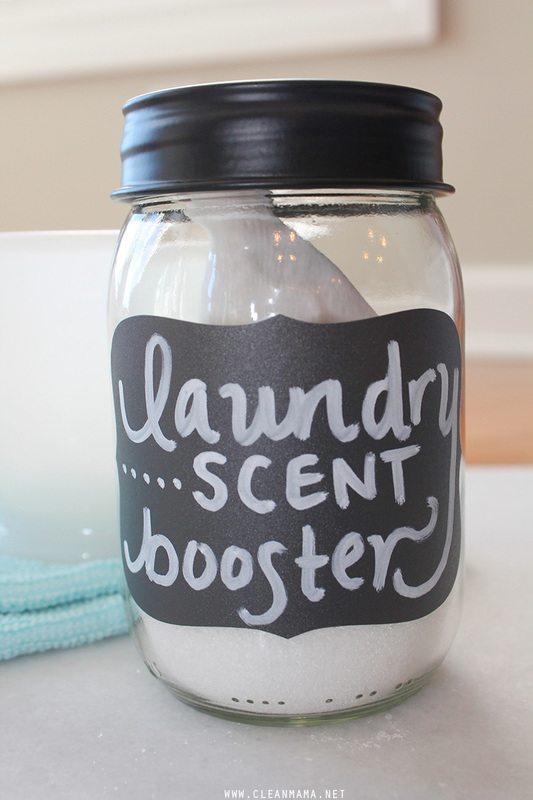 To use: Add 1 tablespoon of the Laundry Scent Booster directly to the washer and wash as usual. I love this for sheets and towels – it adds a subtle, clean scent. If you mix it up and find that you need more scent, simply add a couple more drops of essential oils to your jar, stir, and keep using. Epsom salt will completely dissolve in water and is just the ‘vehicle’ to get the scent into your laundry – it may also add a little softening as well. And this is a MUCH cheaper option for boosting that scent. How’s that for clean laundry? 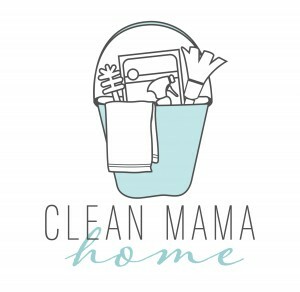 Come see Clean Mama Home! I don’t live in the US and I am not familiar with Epson salt. Would washing soda be an alternative? I don’t think it’s the same thing. Here’s a description to see if you can find a similar product in your country. 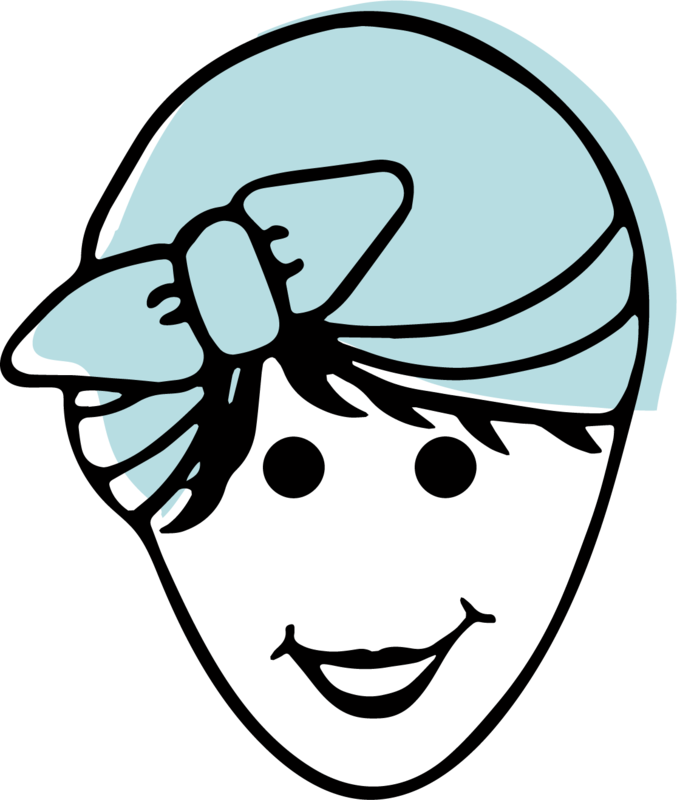 Henriette~ Epsom salt is very different from washing soda. It is Magnesium Sulfate. Other names for it are English Salt and Bitter Salt. I live in Aruba in Caribbean and we buy Epson Salt at the Pharmacy. Maybe you can ask there to. I can’t wait to make it, thanks Becky for this idea. Try asking for magnesium sulfate. That’s the scientific name for epsom salt. Or ask a pharmacist/chemist – or a granny! They will be familiar with it for using as a foot soak, a laxative and many other old timey uses. It was extremely common in households 50-100 years ago. It is like u scented bath salt. Do you have that where you reside? I don’t know the answer to that question. However, Epsom salt is simply another name for Magnesium Sulfate, if that seems more familiar to you. Can I use table salt instead? Epson salt is very expensive (USD 3 for a mere 300g) in where I live. 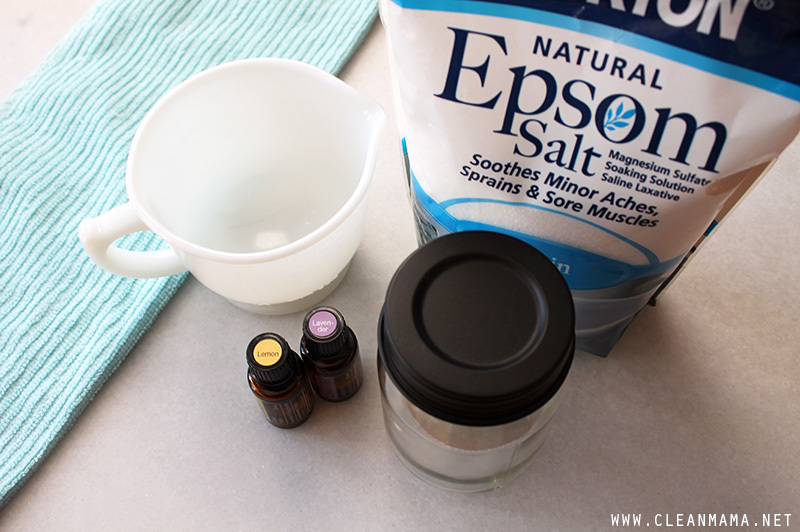 The Epsom salt will fully dissolve more quickly – you can try the table, but I recommend Epsom. If you really would rather use “table salt”, you would need to use Kosher salt and hot water. Epsom Salt, since used sparingly is actually more economical. Can these ingredients be added to my home made laundry soap? Thank you thank you! I use all of your cleaning recipes and I’ll add this to my aresenal! Love this idea. Are those the actual essential oils you use (that link on amazon?) Also, do you put both the lavender AND the lemon in the epsom salts together? Thanks! Could this be added to the fabric softener compartment instead of directly into the wash? I absolutely love all your great tips! Keep them coming. Thanks. You would not want to put that in the fabric softener part, no. Thanks for the great tip. I just made some and can’t wait to try it! I love the idea bc of the non-toxicity!! Would the salt hurt (degrade) clothes? I guess it’s not an issue if you only use with towels? Would it be safe with sheets? And Does it last after drying? Sorry for all the questions, I’m excited to try this!! Can I use this in a high efficiency washer? Thanks for this cool recipe! I love finding more ways to be natural. I usually add a couple drops of essential oil to my dryer balls to scent and soften my laundry. I’ve always wanted to try using essential oils in my laundry (we use cloth diapers!) but I’ve been hesitating to put an oil in with my clothes. Will it not leave oil spots? Essential oils aren’t really oils. I put liberal amounts of lavender essential oil on my unscented dryer sheets before I pop them in the dryer and have never had an issue. When I saw this, I was so excited! 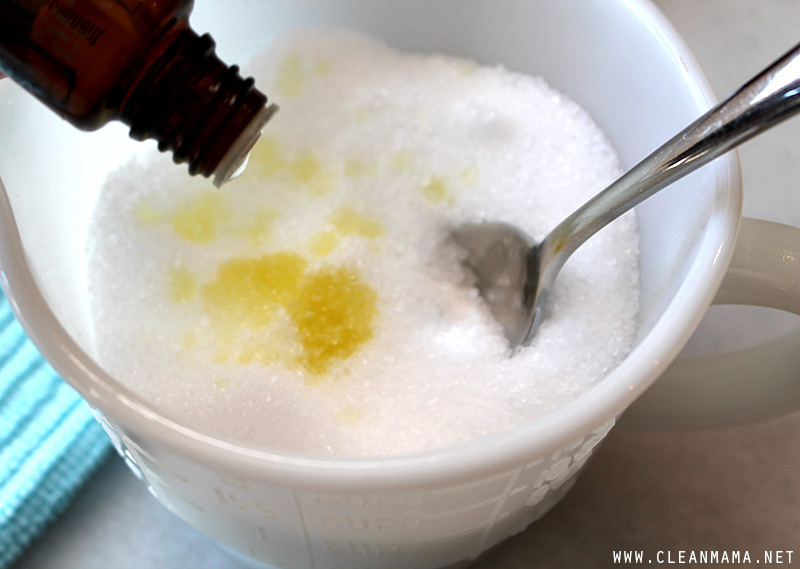 FINALLY a recipe for a scent booster that I could afford and with ingredients I have on hand! So I immediately mixed this up per the recipe and tried it out on my sheets that were going into the wash. When they came out, the smell was, well, disappointing. Nothing bad, mind you, just not the lavender and lemon I expected. So I dosed it up another 30 drops in the two cups of Epsom salts and tried again with the next batch of clothes, and again, clean, but nothing to rave about, scent wise. Am I missing a step? I am using essential oils and Epsom salts. I even tried a load by just using it in the softener chamber on the washer, and nothing! HELP! It could be your essential oils or it might not work for you – it’s a subtle scent, not overpowering. You might try adding the essential oil to a wool dryer ball, or a dampened wash cloth in the last 5 minutes of your dry cycle. Thank you for this post! 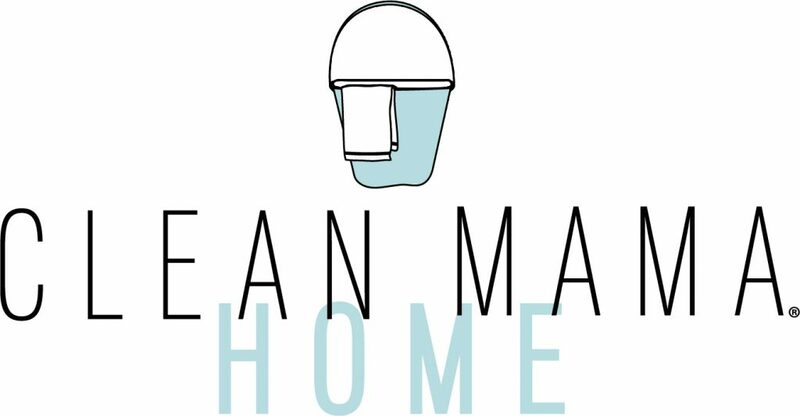 I’ve been trying to eliminate unnecessary chemicals from our home, but my husband and kids complain that our laundry doesn’t smell “good” anymore (since I stopped using fabric softener and substituted vinegar). I’ll have to try this!! Great idea! So easy. I listen to a podcast called The Essential Oil Revolution. A recent episode said that many scented products contain formaldehyde-a known carcinogen. The FDA does not require that this be put on the package because it is not being ingested. I’d rather not take my chances of it getting on my clothes either! This is a super alternative. Thanks! Great idea. I too have smelled that smell when I buy clothes from catalogs. agreed. essential oils should always be well diluted before applying it directly to your skin. more is not always better. Could you mix the salt, little bit of baking soda and essential oil to give it an extra boost? Wouldn’t the baking soda nullify the scent? 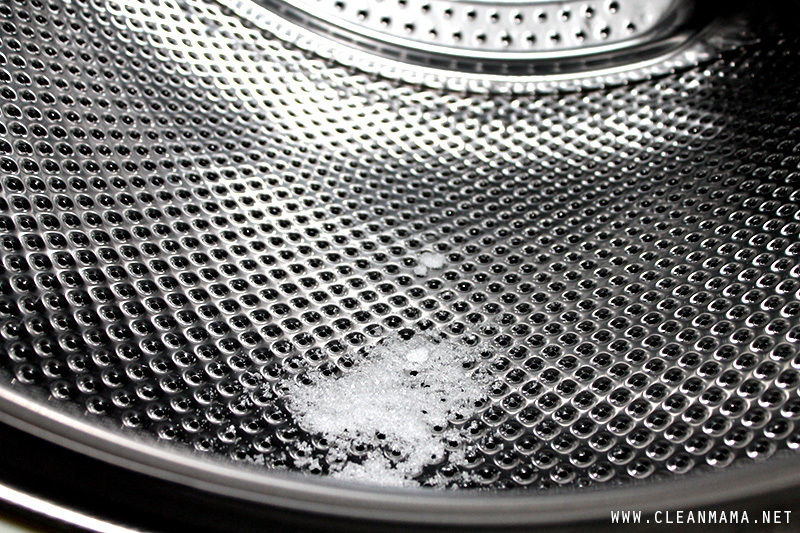 Baking soda is often used as a deodorizer. 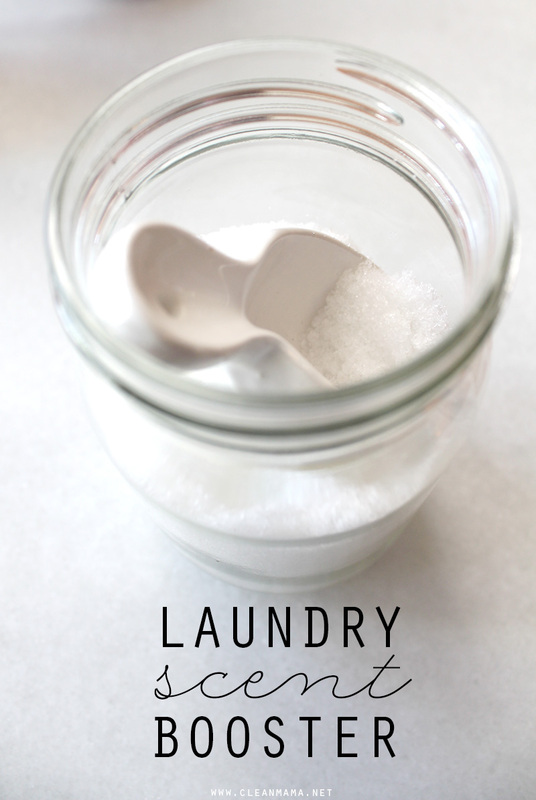 One of my favorite ways to add a fresh scent to laundry is an alternative to dryer sheets. Simply take dried lavender straight from the garden and out it in a small draw strong mesh pouch. Make sure to tie it really right so the lavender doesn’t come out. You can throw it directly into your dryer and the heart from the dryer will release the scent. When it looses its scent simply empty it and refill. A fantastic alternative to the chemical filled dryer sheets that cost money are used once and simply thrown away. You could use any dried flower scents you wanted to really. My sister uses pine needles. I love this tip! I need to try it, thanks for sharing. I don’t grow lavender so I will have to look online to buy it in bulk. Pine sounds divine too! I Do this with spice bags, fresh lavender + essential oil. Throw in right in with laundry in washer and dryer with sheets and towels for extra boost. I use lavender in my home made laundry soap as well. I agree with what the other “Gina” said. I worked in a few clothing retail stores over the last 20 years and I remember sneezing uncontrollably after opening up the boxes of shipment clothing. You can definitely smell the chemicals used in the fabrics! This is why it’s important to launder new clothing, towels, sheets, etc! Due to most of us having allergies in my home, I’ve been reducing chemical based cleaning products to home made ones. It seems to be working well. I’ve made my own carpet freshener according to Clean Mama’s recipe posted over a month ago. Before, my feet would itch after using store bought carpet freshener, now with just using the baking soda and essential oil mixture, I have no skin irritation. I’m not sneezing a lot either! 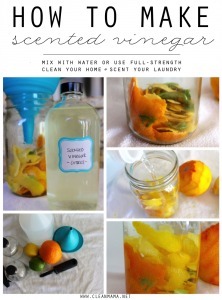 I’m definitely going to try this laundry freshener recipe! Your blog is awesome Becky! Keep it up! Do you think already scented Epsom salt will work? I just bought a package of lavender Epsom salt from target for my bath. Is it o.k to store this in a plastic container? No. Authentic essential oils eats plastic! Just get a glass jar from the supermarket or dollar store. I have a question- why Epsom salt and not baking soda?? Is there a difference or same outcome? Thanks! 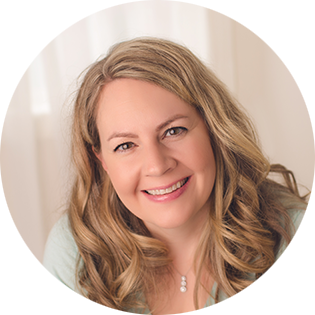 After cycling out chemical laden products from our home 5 years ago, I would often find myself wanting a little “more” from the natural products I am using. I do not care for strong perfume smells and actually get sick walking down the cleaning aisles at the stores, but STILL wanted a little “something” that would allow my clothes the clean “scent” most commercial detergents leave behind. ENTER = Scent Boosters!! And natural to boot!! I just whipped up a batch and have it whirling in the machine now. I cannot wait to smell the results!! In addition to the lavender and lemon I added clary sage. Can’t wait to try other scents for different seasons! Love essential oils and love your posts! Thank you!! Could you use the Epsom salt that is already scented? If it’s scented with essential oils and not fragrance, you could. Someone in your house got stinky feet? Make up a batch of this with tea tree oil. I don’t use a mixing bowl…I just fill an old jar half full of Epsom salt, dribble in the oil, cap it tightly, and shake to incorporate. The tea tree oil is highly anti microbial. Lavender is especially suited to mask body odors. Almost everything else simply adds variety and/or evokes memories. So, David are they soaking their feet in this mixture or shaking it in shoes? I’ve been fearful to try this. Love the idea. I’ve read Epsom salts fade clothes color? Should I be concerned? Towels, sheets, blankets here are colored/patterned. I haven’t experienced that or come across that in any research. 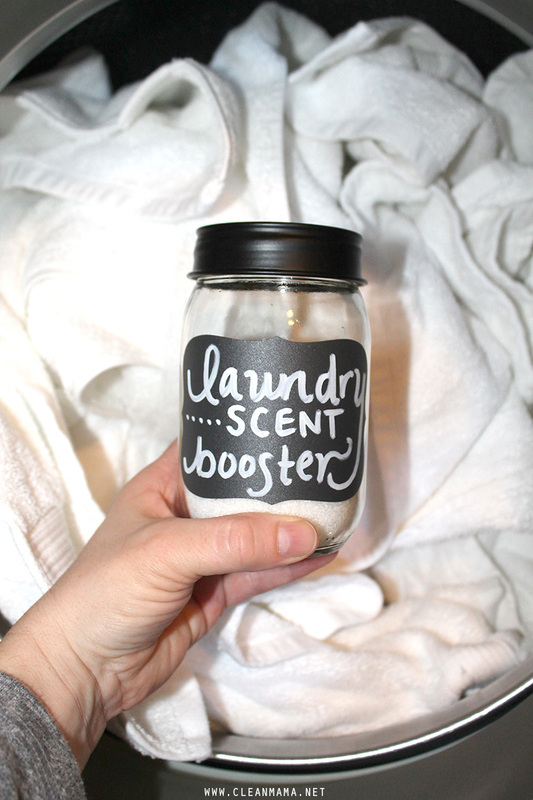 What tips might you have for the laundry scent booster to work? I made some like you said (1 cup Epsom salt with 30 drops each of lavender and lemon), but cannot smell the EOs on my clothes or towels. My family and I use all doTerra EOs. Should I use more drops? Try upping the EOs…the scent is subtle, not like a traditional scent booster. I am allergic to epsom salt. what is a good alternative? 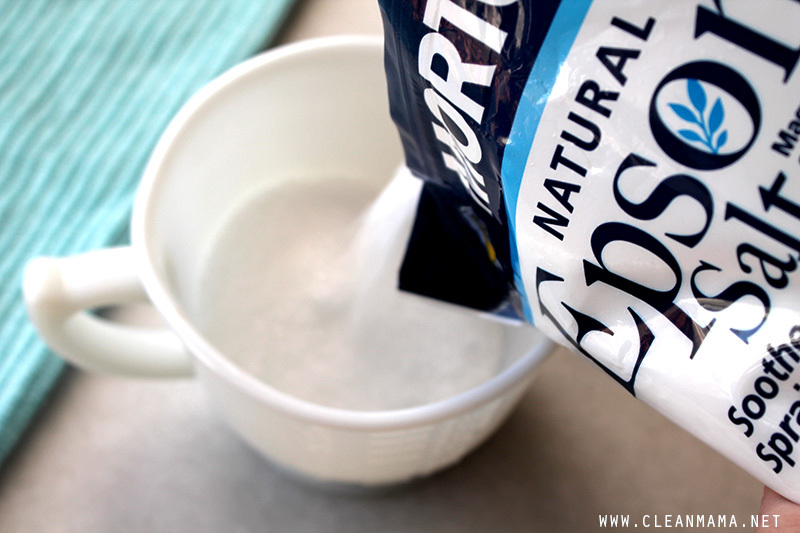 You could try baking soda but I haven’t tried it in this way – sorry! Hi Becky! I made this recipe and added baking soda as well. Overtime I’ve found that my clothes start to smell oily and unclean. Could it be the essential oil in using? I think it might be in your soap or detergent – what are you using? Great article! Just a quick question…Do you know if it’s safe to use these essential oils listed in your laundry if you have a cat or dog? I know you should avoid many essential oils if you have cats but I wasn’t sure if this was diluted enough to where it would be okay. Do you think this would be useful as a sweaty laundry pre-soak? I’ve tried the vinegar and the baking soda methods without any luck, but I should mention that I used soapnuts for cleaning my laundry as I have very sensitive skin. I haven’t tried it as a pre-soak – I would try a laundry booster like washing soda or Borax instead as a pre-soak. I second the washing soda since the pH is high and will break up the oils that hold the sweat smells. I want my laundry to have a nice smell. If i put essential oils on my dryer balls will i still need to use a scent booster or would that be too much in terms of smell? It wouldn’t hurt since essential oils, well good essential oils, are rather volatile and needs an carrier for it to last longer. When you have a good and authentic essential oils and place a drop on a index card, it will evaporate and will not leave an oil ring that is common among cheap/fake essential oils. You suggested putting the Epsom salts directly into the washing machine. Is that preferred over putting it into the laundry soap dispenser? Is this used in the wash cycle or rinse cycle? Put it in the drum of your washing machine – it’s the wash cycle. Do you use essential oils used for diffusers? Please tell us where to order correct oil. I also made your daily shower spray today, and it is amazing. My bathroom smells like christmas candy cane lollies! Thank you for your book and recipes. Do you use only one essential oil scent at a time or mix Lavender and Lemon? No, it won’t work, ONLY use essential oil – the warming oil has a different composition and would most likely add oil stains to your clothing. What is the point of letting the mixture air dry? Just curious. You don’t want the essential oils to make the salt clumpy or to dry unevenly. letting the mixture dry, helps the “salt” absorb the essential oils so you get the benefits of both ingredients when adding it to your wash.